The controllers that are integrated in our automated screwdriving systems, are basically divided into screwdriving and process control systems. The screwdriving process controller monitors and controls the actual screwdriving process – it ensures that the preset speed, torque and depth are being maintained. 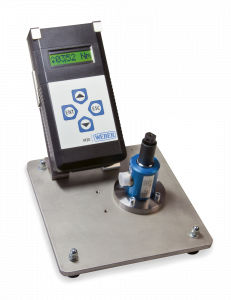 In particular, the controller is important in evaluating the process and documentation of all screwdriving data. Process controllers are responsible for the control of the entire system. For example, they control the stroke movement of the screwdriving spindle, the feeding of fasteners or the communication with peripheral devices. 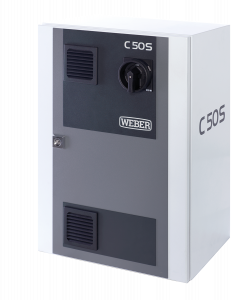 The process controller C5S is designed for simple screwdriving applications. 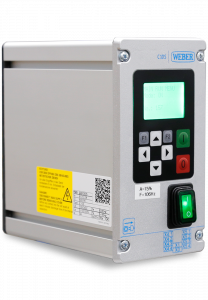 It is used exclusively as a drive controller and is operated through a digital interface: switching the rotational direction and two speeds are possible. The C30S was designed to solve complex tasks. Numerous open interfaces and screwdriving strategies make it a very versatile controller. Parameterization and operation take place via a 7-inch touch screen. The system is supplied as process controller C30SxS with current control and as model C30SxM with torque or rotational angle sensor. The C50S controller for complex tightening tasks. Thanks to freely programmable screwdriving levels, every conceivable screwdriving application can be achieved reliably. Networking is realized via Ethernet with TCP/IP protocol. Parameterization, operation and visualization of the sequences are done through a computer with a Windows operating system. While the C10S serves as a pure feed controller for the pneumatic handheld screwdriver HSP, the C15 can also control fixtured screwdrivers with spindle functions. This is possible with depth and a torque shut-off via a torque clutch. The model C15 also has an open customer interface. 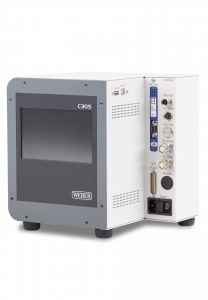 The sequence controller CU30 is used for handheld and fixtured screwdriving systems. 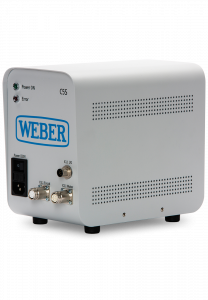 Its extensibility ensures maximum performance thanks to the integrated PLC and pneumatics. 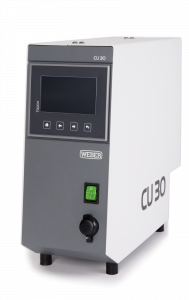 The CU30 allows you to control almost all WEBER screwdriving systems, feed systems, press-fitting and insertion systems.